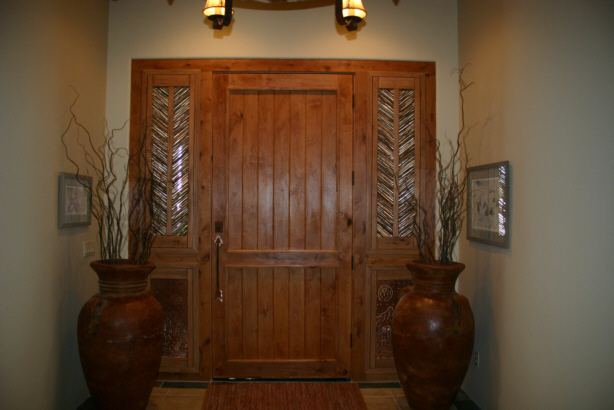 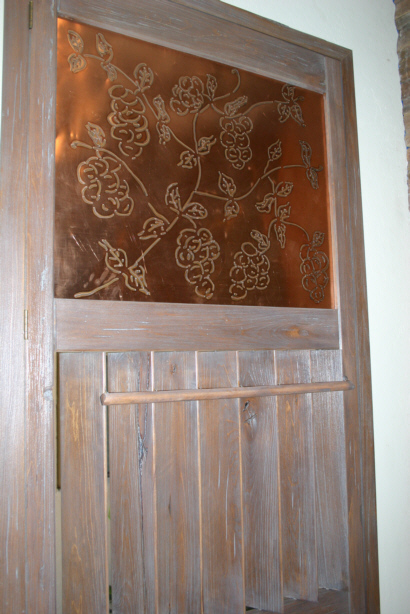 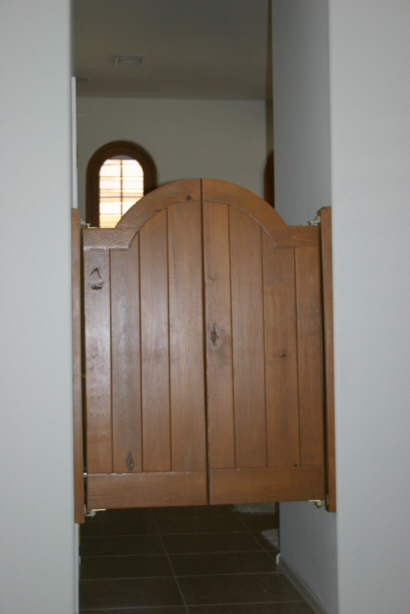 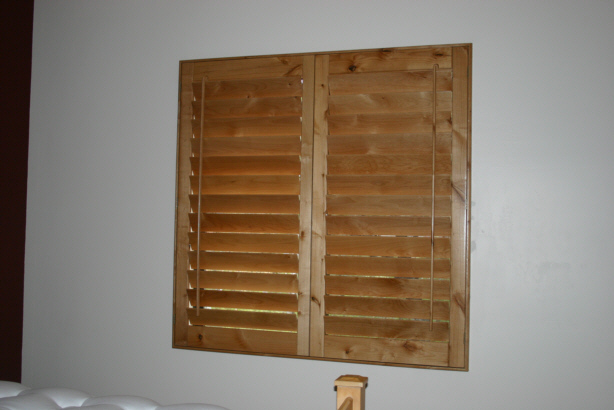 Our specialty shutters are handcrafted from Oak, Knotty Alder, and Bass woods with custom designs to fit your unique style. 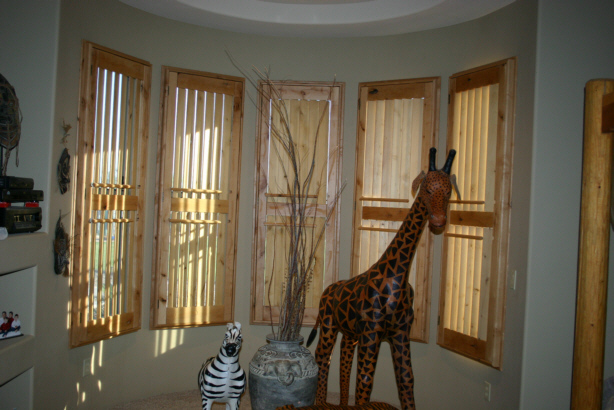 Your imagination is the only limitation! 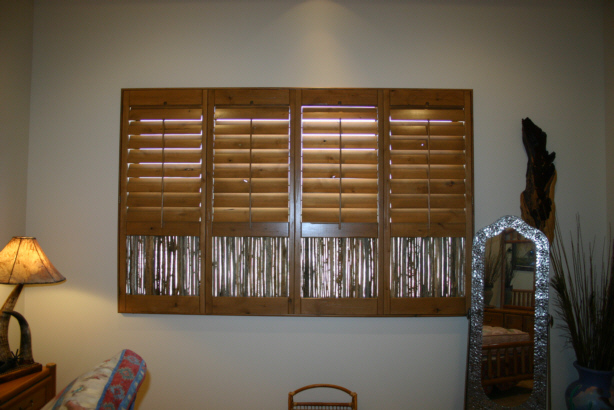 Options include Knotty Alder or Knotty Bass woods combined with Saguaro Rib, Willow wood or copper designed inserts. 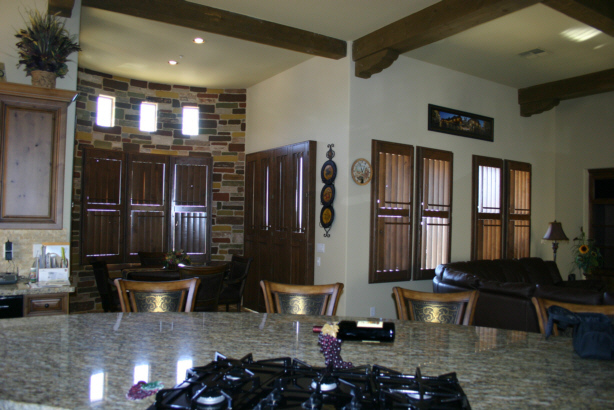 The design options are endless and only limited to your imagination! 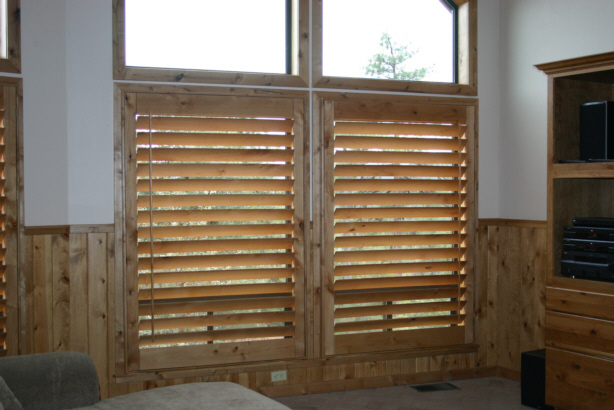 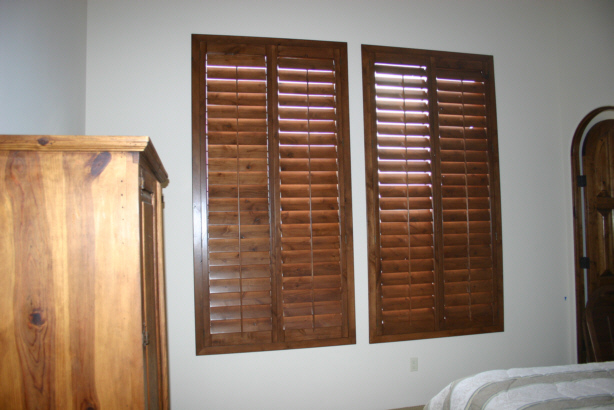 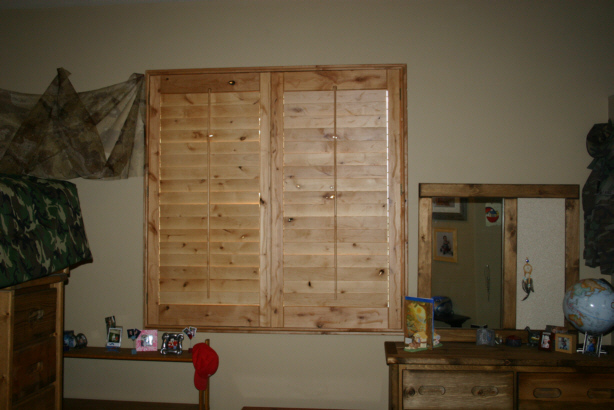 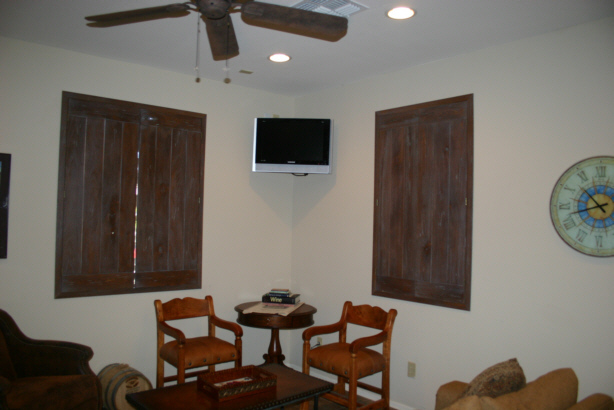 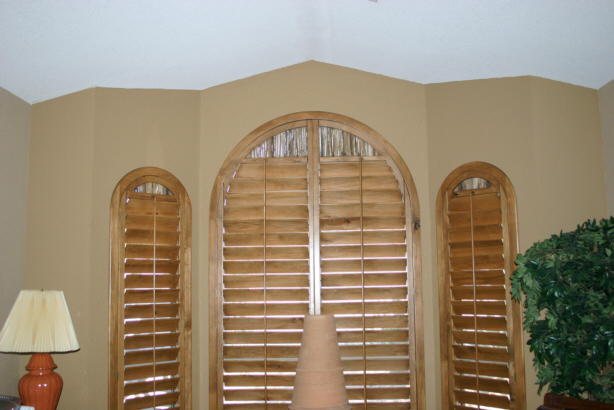 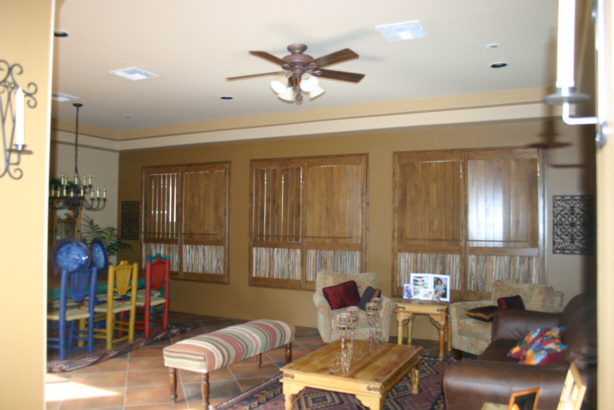 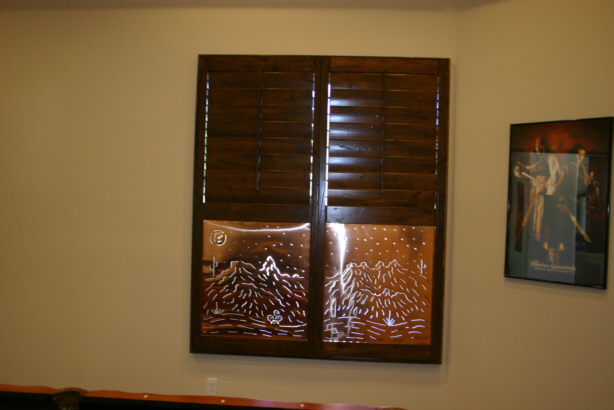 Shutters are your ultimate choice in window coverings. 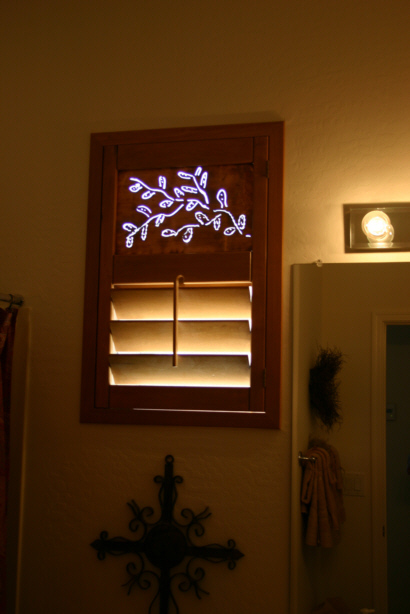 Let Shutter Envy assist you for a most unique and ultimate artistic style.